For Christmas, I enrolled my mother in the "Placemats of the Month" club. Here was her January set. I used Mellow Yellows and Cloudy Skies FabuLus threads and quilted overlapping wiggles. It was quick and easy and I love it! I still have a few leftovers. What shall I make from them? I planned Monday as a tour day in Tokyo. Touring a new city is always a wonderful thing, but it's even more wonderful because if I tried to fly home Monday I would fly right into the messy cleanup after the blizzard that hit the east coast of the United States. Better to stay here and play than get stuck in an airport somewhere! After that lovely rest, it was time to eat again -- Tonkotsu! This was so delicious! I don't eat cabbage and yet I ate their cabbage and was happy about it! We found a store called Don Quijote. It has EVERYTHING and it is all smooshed together inside. If you are claustrophobic at all, avoid Don Quijote. If you are not, enter and have fun looking at everything piled high and sold cheap. After walking our feet off all day, an escalator up from the subway instead of stairs was a welcome sight! What an amazingly fun day! I will roam around a bit tomorrow before I head to the airport for my long trip home. I'm so sad to leave Tokyo! Today was my last day at the Tokyo quilt show. It has been AMAZING! Going to the Tokyo Quilt Festival was a dream come true. I'm going to be selfish here and hope I get to return some day! There's No Place Like ... Tokyo? Today was my third day at the Tokyo Quilt Festival. I've received many notes asking about how different Tokyo is from being back home. When I travel abroad, I normally don't eat at American-type restaurants; instead, I try to eat food from the region I'm visiting. While I do go to Starbucks at home occasionally, I haven't eaten at a Sizzler since 1985 or so and I only eat at TGI Friday's if I'm traveling for work and it is the only restaurant around. This bakery is way too close to my hotel and the reason while I will absolutely gain weight on this trip. This was mostly yummy. Mostly. For dinner, we traveled to a gyoza restaurant and... Oh. My. Heck. I watched this fella make dozens and dozens and dozens of gyoza while I ate some of his yummy food. Mmmmmmm. Chocolate Fudge Brownie. Yeah, that happened. Take Me Out to the... Quilt Show? Silke has a quilt in the quilt show and it won a third place ribbon! I am so excited for her! She quilted her quilt on her Handi Quilter Avante! After the quilt show, my friend and I headed to Shibuya (think Times Square) and walked around until we found a tempura restaurant. One of us is better at ordering food; I'll let you decide which one. I'm not sure I've ever been somewhere that had earthquake drills before. I used my Squared Away pattern (my fave! ), used Dear Stella fabric, and quilted it using a ribbon candy pattern (my fave!). I hope this quilt is her fave, too! For symmetry, my other niece also received a Squared Away quilt from me. Remember? So, what pattern shall I make for the nephews? I have always, ALWAYS wanted to attend the Tokyo Quilt Show. My dream has come true! I don't drink wine, but I think I might know a few quilters who would like a glass of wine (or two!) at a quilt show. I woke up Monday at 2am to start my travel to the Tokyo Quilt Festival. I made it to my hotel on Tuesday at 7:30 pm. I always have trouble counting hours ahead or behind, but I never mind seeing new places. This afraid-of-heights quilter is staying on the 34th floor of her hotel! I can't wait to set up for the quilt show tomorrow! 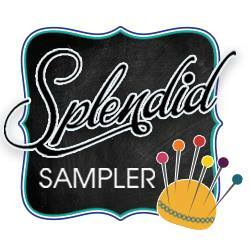 I am honored and thrilled to be a part of The Splendid Sampler, a a year long 100 block ‘Epic Adventure’ of quilt making. 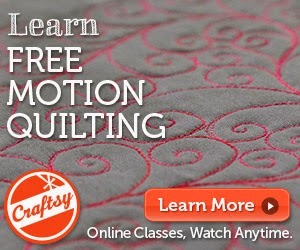 I will be adding some machine quilting posts throughout the year. Take some time and check out the designers and their websites. Today I am beginning my journey that will end at the Tokyo Quilt Festival!!!! Wait, I didn't use enough exclamation points!!!!!!!!!!!! !!!!!!!!!!!!!!!!!!!!!! !!!!!!!!!!!!!!!!!!!!!!!!!!!!! I am, to say the least, excited. It took me a while to decide what to bring as presents. Fortunately, I was speaking with the fabulous Teri Lucas and she told me that City Quilter designed a line of New York City themed fabrics. Problem Solved! And they are cuter than cute! My word of the year for 2016 is WHY? I plan to question everything and make decisions that make sense for me. Some of them will be big and important decisions and some will be little ones. Here is a little one. I have a dodgy phone charging cord that I keep on my desk. It works when it feels like it and it never feels like working when I need to import photos and such to my computer. I asked "Why am I living with a dodgy phone charging cord?" I had no answer, so I shopped for a new cord. Another question I often ask about my charging cords (yes, cords. I keep one on my desk, one on my nightstand, one in my car, and one in my travel bag) is "Why are iPhone cords so ridiculously short?" Have you ever had to manipulate yourself to accommodate a short charging cord? Aren't you glad no one took photos of this? The charging cord at the bottom is my broken, too short cord. The one at the top is my new and twice as long cord. I'm happy to report that I uploaded this photo without having to jiggle the cord and make promises "C'mon baby. If you just upload this one time I promise to to say nasty things to you ever again." Did you know that you can get 2m charging cords for your iPhone? Why didn't I know this sooner? Instead of hump day, today I'm celebrating "It's Time To Ship My Boxes To AQS Quilt Week in Phoenix" day! It's also known as "We Can Use The Dining Room Again" day and it's even bigger than Shark Week in our house. I'm lovingly packing each and every kit, looking forward to meeting all of my students in Phoenix. I'm teaching seven classes. *camel photo taken at Zoological Wildlife Foundation in Miami. Seriously, it was one of the best days of my life! Bonnie Hunter Mystery -- Allietare progress!